Video: This proud team of budget cosplayers aren't going to let time and money get in the way of awesome Overwatch cosplay. 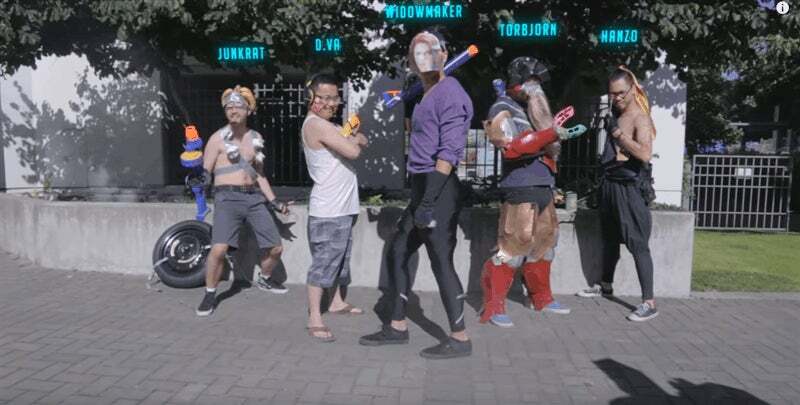 With the help of ThatGuyYouKnowww and The Will Box, these guys — wearing recycled cardboard boxes, pieces of paper, singlet tops and pieces of old Destiny cosplay — bring Overwatch's Play of the Game animations to life in a way that may not be authentic, but is way more entertaining. McCree deadeyes from left to right. Not right to left¡!!!!!!!!!!! !